More crew have been taken on as the final months of production are upon us. Animator Vincent Petremann pictured below is one of the latest recruits to join us. Lupus Films has also opened up an annexe studio in north London to accommodate the army of clean up artists and assistants that an animated feature film requires. Raymond Briggs features in a full page article in today’s Observer newspaper. Raymond Briggs celebrates his 82nd birthday next month. Animation director Peter Dodd and Roger Mainwood discuss a scene and check lip synch. From left to right: Art Director Robin Shaw, Layout artist Martin Oliver, and director Roger Mainwood. The art department corner of the studio. From left to right Assistant art director Mat Williams, Art Director Robin Shaw, and Art Department supervisor Martin Dray. 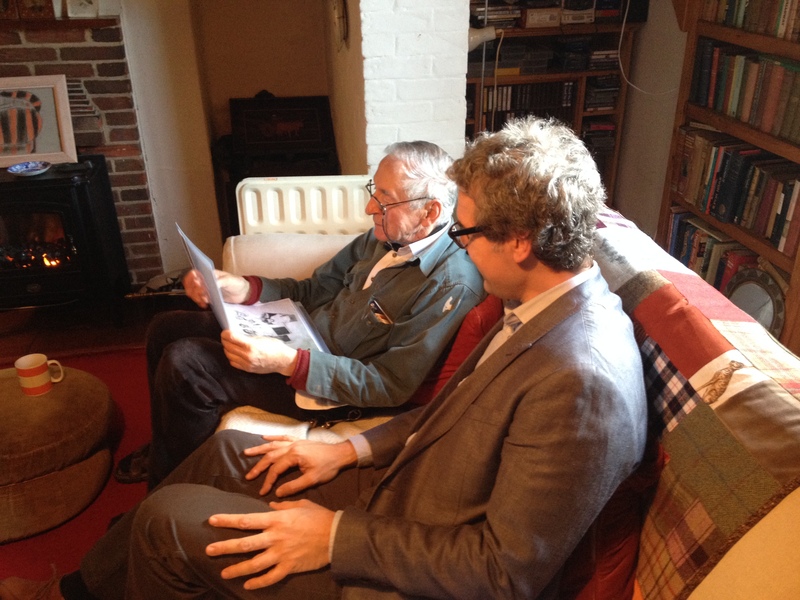 Animation director Peter Dodd shows Raymond Briggs the character sheets that he has been working on. He was thrilled with the progress being made. 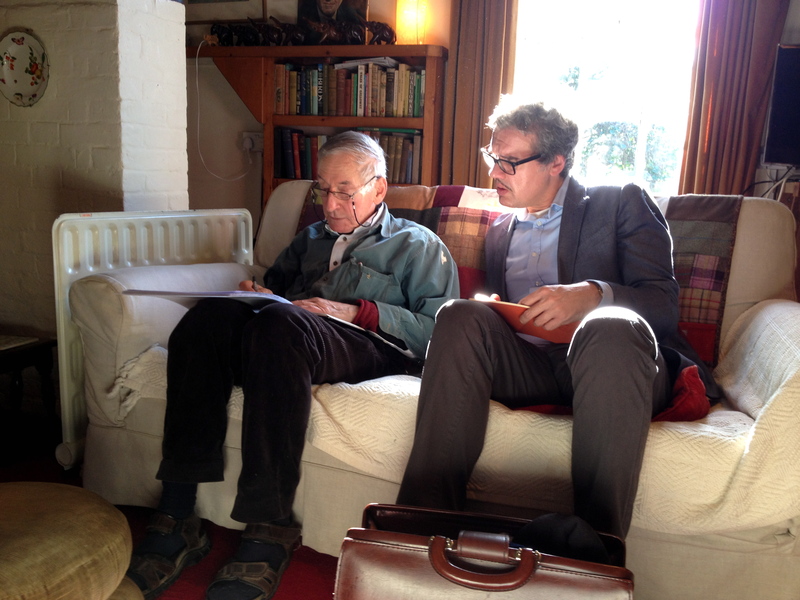 Peter reported: …he viewed the model sheets of his parents and seemed genuinely over the moon “yes that’s bang on” he said.” And of the ones of Raymond himself? “That really looks like me” he said of his moustachioed self, but commented on his regret at ever having grown one. Three poses of Ernest – preparatory sketches for the film drawn by Peter Dodd.